PLEASE NOTE: ICSSP WILL SOON ACCEPT APPLICATIONS FOR FALL 2019. SCHOLARSHIP AVAILABILITY IS CONTINGENT ON RECEIPT OF NSF FUNDING. CHECK BACK SOON FOR UPDATES. With cyber crimes on the rise and a shortage of professionals, cyber security is a field that offers great career opportunities. Now, qualified students have the opportunity to follow a career in the government for two years as a security professional, be part of a University program focused in this area, pay no tuition, and receive a generous stipend through the Illinois Cyber Security Scholars Program (ICSSP). ICSSP is recruiting qualified College of Engineering and School of Information Science students who are planning on specializing in cybersecurity and privacy. 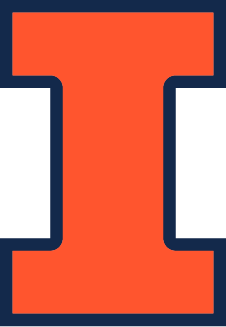 An admitted full time undergraduate or graduate student on the Urbana-Champaign campus. College of Engineering undergraduate or graduate student with a focus on cyber or information security and privacy, or a School of Information Science graduate student admitted to the MSIM degree program. Transfer students are eligible to apply after they have been admitted to the College of Engineering and have completed at least one semester on campus. * Security clearances, and many federal agencies, require U.S. citizenship. It is the recipient’s responsibility to attain such a position in state, local, tribal or territorial governments given these limitations. TO LEARN MORE, VISIT THE ICSSP WEBSITE.